'Famalay'-a song written and performed by Bunji Garlin and Machel Montano from Trinidad and Tobago and Skinny Fabulous from St. Vincent and the Grenadines has been breaking record views across the world, opening a much- needed avenue for the ever so controversial Bouyon genre. 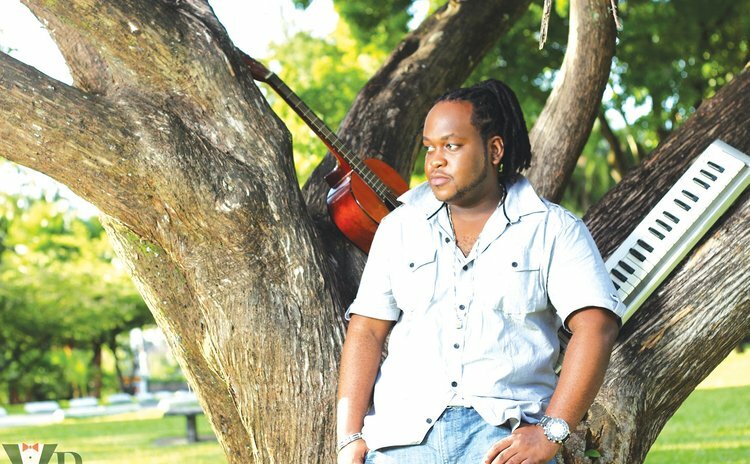 The song was produced through the collaborative efforts of our very own producer Krishna "Dada" Lawrence and another from the island of St. Lucia. On the 20th February, 2019 the video for Famalay was part-filmed in Dominica, taking advantage of the scenic and preserved Cabrits National Park- Fort Shirley. The video also showcased many of the island's groups such as the NBD Flag wavers, Paix Bouche Cultural Drummers and Kalinago representatives. This leg of the video has been inspired by the Convent High School's Sign Language Club and of course due to the involvement of producer Dada. It is too much of my excitement but not to my surprise, having been a past member of the club, and given the tenacity and determination of a phenomenal leader and woman- Leandra Lander, that the club produced a video performing and signing to the above mentioned song, as a result breaking barriers and contributing to the song's international appeal. However, while we all fond over the hype of the king of Soca-Machel Montano filming in our majestic island and showering us with many positive and welcoming comments alongside with his compatriots Bunji Garlin and Skinny Fabulous; and while we bask in the praises of our very own producer Dada, we must remember that the hype always fades and there will be a time when there is going to be another "Famalay", maybe not called by the same name but another song which will take the eyes off of the Dominican market or the country on a whole. The real question in all of this is, what are we going to do, now that we have proven to ourselves that we have the potential to push into the modern market, obtaining much recognition for the Bouyon/Soca genre, to remain relevant? What is the plan to continue "hitting the iron while it is hot"? As an aspiring lawyer with a hope to specialize in the area of art and entertainment, I am beyond elated when my country progresses in the entertainment industry on a regional or even an international scale. While on this point I must commend youthful artists such as Sheldon Alfred and by extension the Signal Band, "Reo" who has now matriculated to celebrity status, having over 1 million views on Youtube for his infectious song 'Sa ka Bay', among many other artists in Dominica who are trying to make strides toward the international market. Of course not forgetting their teams and producers such as "Wizzard"(Cecil Joseph Jn) who we never see, but puts in immense back ground work. The question still remains though, and I struggle with it myself. Why is it that we always seem to get there but never really stay there? Is it that we need more creative ways of expansion such as the incorporation of the art of sign language? Honestly, I have sat and listened to many interviews on how to chart the way forward but just as John Legend's new single "Preach" many have just the answers but lack of cohesive action. Many of us are doing our part single handedly but we sometimes fail to unify our efforts in an effort to break market boundaries. Additionally, "we" as government Officials especially whoever the minister for culture will be, need to place greater emphasis, and resources into such avenues. Say, an eco-cultural destination? If it is that a country's own government does not show sufficient interest in the art and entertainment industry, how do we expect we the people to support "Local", thrusting our very own to reach limits beyond our imaginations? We underestimate the strength and power of support. And personally, we underestimate the power of the words in the song spoken about in this article.